Joy, Pleasure, and Thank You! Many readers who have been following my work have seen my wife Kathryn’s pastel work over the last two years. Her learning curve has been unlike anything I’ve ever seen, from the arts, music, sports or what have you. She surprised me this past January when she gave me my birthday present, the gift of a portrait of mi amigo “Principe’, Rarin’ to Go!” We had gone out last October (before he grew his winter coat) and took about 20 photos, but I had no idea when she planned to paint it. Below was what we chose. And no, this is NOT a photo, this is the painting itself! From a horseman’s point of view, the pose is incredible. The neck angle, the calmness of his face and eyes, the slight slack in the reigns and legs not touching the horse are all correct. In short, a horse going about his business as requested. Some may wonder why his ear is not forward. He is Spanish and hears EVERYTHING, including the click of the camera shudder. I urge you to enlarge this photo as much as possible to see the minute detail. From the headstall to the saddle, from the veins in his neck to mud on his hoofs, she has given me the best birthday present of a lifetime! We hope you enjoy this piece! On an entirely different subject, I must say it has been a joy, a pleasure, and thank you! Many of you know our house burned down three years ago, after which I sought income for my work that had been free to the public for almost six years prior. Bill Murphy of LeMetroporle Café was the first to come across my work and gave me the first push into the public spotlight. Thank you so much Bill! David and Andy Schectman of Miles Franklin saw merit and wanted the rights to my work. In essence they sponsored me and helped us get past our tragedy. 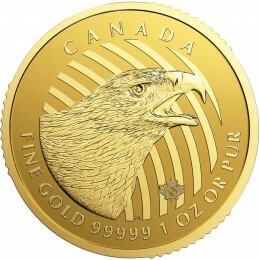 Over the last two years my writings have been spread amongst many and various precious metals and investment websites. I thank David and Andy immensely for the platform they gave me. Without the platform they offered, the process would have been much more arduous. Thank you David and Andy! As of May 15th, I will no longer be writing for Miles Franklin but I will retain a working relationship with them. 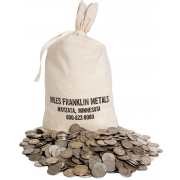 Some know but many do not, I broker precious metals business through Miles Franklin and plan to continue to do so in the future. They are very fair in their pricing, unparalleled in their service, and above all, honest people! In my book, and I hope you have sensed this in my writings, there is no substitution for honesty. Without honesty we end up in situations such as the Western financial system finds itself today. I plan to take a couple of weeks off heading into June as I need to recharge my batteries for what comes. 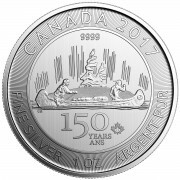 As the calendar turns to June, I will begin to live what any precious metals writer could only dream of – I will be working with Jim Sinclair! I cannot tell you what this means to me personally. To say this is the highest honor I could imagine is an understatement. There is no greater mind, nor wealth of experience I could partner with. I look forward to learning more than I ever have before and to soak up every “war story” he’s willing to relate. We are not exactly sure yet what the platform will look like. It may include a dedicated website, seminars and conferences or other plans; we are still chewing on this. Whatever we finally decide is fine with me and can be adjusted over time as we see the need. More than likely I will be writing slightly less than I am currently. Four to five articles per week has been taxing and sometimes the result is not as fresh as I’d like. My only fear is I wake up one day with writers block and cannot pen something Jim and I would be proud of or our readers deem worth their time to read. Jim’s offer is validation to me that what I do is in fact relevant. Everyone from time to time has had their doubts and wonders of their relevance. I am no different. I thank everyone who has read and enjoyed my work in the past. I thank those who forwarded my articles and commented so often (except for the paid trolls). I thank everyone who has helped me in any fashion along the way. It has been my pleasure striving to open up closed eyes and protect YOU from what is coming because what comes will be more ugly and more evil than nearly anything humanity has experienced before. I look forward to our new relationship and THANK YOU ALL! Bill, Thank you! All the best with your new endeavors. The image you posted in the article is just a small one and we cannot appreciate the details. Thank you for your great posts and interviews. your welcome Chris, I sent it in jpeg form also to the editor. try expanding the size on your page? thanks! Working along side Jim Sinclair. Mr. Sinclair is another class act just like you. I have sent him a few emails over the years and he has always responded promptly and with grace and thoughtful insightful comments. I can see why Mr. Sinclair wants you on his team. You will make a great addition to his team. I look forward to following you there. I follow his site daily and have for over 2 years. We will miss you here but I am sure your following will only grow.. Very many thanks for a great two years Bill, (what a superb parting painitng) You knowledge and expertise has helped keep me sane (ish!) and confident I’ve done the right all in PM thing! I’m on Jims list, so I hope to catch up again soon. Very best wishes to you and yours in the future. thank you Maurice, I’m happy my wife just finished this so you all could see it. What COOL birthday present that took over 100 hours to finish! Your wife painting is stunning, I had to look a few times carefully to confirm it’s not a real picture! Congratulation for your new job, I will absolutely miss your daily writing, you and Andrew are my favorites. I sincerely hope I will be able to read or listing to you in the near future. thank you Daniel, she is a prodigy! I will be writing again in a couple of weeks, not sure of the format but will advise through Miles Franklin blog and others. Bill…….if all countries are printing…U.S., ECB, Japan, China, India, England, S. Korea, and the list goes on to infinity,,,,,,then why would the U.S. Dollar be in trouble? all these other countries are walking dead too…..Noone has made the argument why the giant u.S. dollar goes down but none of these other two-bit countries. Jim Sinclair knows markets and precious metals like your wife knows “painting.” Seems like you are blessed with not one, but at least two “golden parachutes.” Good for you! It is axiomatic that the whole is greater than the sum of its parts, but a Holter/Sinclair alliance? This is epochal! thank you so much Matt, funny thing, when Jim read this piece he said “writer’s block yes (maybe). but that’s why two heads are better than one”. And yes, I am blessed, may God Bless you too! From one “Horse-guy” to another, we unwashed PM bulls, appreciate your hard work and will continue to follow you over on JSMineset. We will, of course, maintain our Miles Franklin following as well. Ever since you started writing for Miles Franklin, my daily routine has been to wait for my Miles Franklin newsletter to arrive in my inbox, fill up my coffee, and then read the newsletter front to back always saving your article for last as the highlight. Nobody can connect the dots quite like you do and your writings over the last couple years have been an eye opening experience. I can honestly say that in large part due to your writings I have never doubted my decision to move into physical metals. Jim undoubtedly is brilliant and I can’ wait to see what the two of you will come up with to continue to educate those who are willing to listen. All the best to you and thanks again for all the amazing work in the last couple of years. thank you Al, I appreciate it! Bill….what are the odds that a planned pre-emptive coordinated event out of the blue one day maybe this Fall by the U.S., Europe (ECB), Japan, China, etc shut the entire banking system and all markets down for a couple weeks and introduce a new planned financial arrangement….purpose is to prevent collapse and STAY in power. is this not what I have been suggesting for months? is this not what I have been suggesting for months? By the way, are you creepyd98? We all will miss your writings and convincing information, Bill. On the other hand, working together with Jim Sinclair is a fabulous chance for you and him – I wish you all the best for your new undertakings. Looking at it that way, you will not be “lost” to us altogether for as we open Miles Franklin’s homepage every day, so do we open JM Mineset every day. THANK you very much for your tireless work, enthusiasm and commitment to forewarning us of the world financial happenings occurring right in front of our eyes. Although almost unbelievable, you have made us take note and react. And for this, we are now and most probably will be even more grateful in the future. And yes, your wife’s picture is just SUPERB! Bill, ditto what Marianne so succinctly put! thank you for all your comments OLI! All the best to you Bill. I will continue to follow your work. thank you for all your comments Colin. Congratulations! I’ve enjoyed your work immensely. You will leave a big hat to fill at MF! thanks, please don’t tell Andy he doesn’t work hard enough, something might pop. Andy’s output is prodigious as is the quality of his analysis. You were in good company-bless to be working with the best in the business. yes it is. Now I see the smiley face in sarcasm, missed it first time around. That is not what you have been saying or suggesting…….you have stated the markets will collapse, wars everywhere, nuclear war, looting, MadMaxx Escape from New York scenario with Kurt Russell….there are several possible scenarios…..the whole world is creepy, people are creepy, but until the Lord Jesus takes me I’m just trying to find out..where do we go from here Ollie? Schemp, I have not been talking about bank holidays and resets? Really? I have not said many times they need “something to point at” as the reason for collapse? You can change your name but not who you are. thanks Bryan, I will try my best! I was lucky to find Jim Sinclair’s website about 10 years ago and I’m so glad he posted an excerpt and link to your writing on his website fairly recently and I was able to read your work. Thanks for your effort here and keeping me on top of the latest info and possibilities. Andy’s writing is a gem as well. Looking forward to what you and Jim decide to do. FYI, Jim and you are amongst a small group of individuals I would consider traveling to hear speak. Thanks! thanks Mike, great to hear that. Congratulations Bill! I’ve truely enjoyed reading your daily missive here @ MF. You will be missed. You’ve played an important role in aiding the mass global political awakening. Your message of truth is paramount to all those willing to listen. Wishing you the best in the future & look forward to the next chapter. God bless you, my friend. thank you Gil, God Bless you too! One last question. Have you ever examined the work of Charles Nenner or Martin Armstrong. If you could share your advice about their forcasting methods I would be grateful. 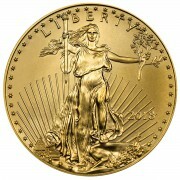 I do not know Nenner’s work but Armstrong clearly does not believe gold is money, he is wrong. He changed his tune about gold 180 degrees the day he set foot out of prison, I wonder what changed? Thanks you Wild Bill. Congratulations. I have enjoyed your writings here and wish the best in your next venture. thanks G8, it is almost daunting, I truly hope my work passes muster with Jim! Good luck Bill, I am sure you will be successful in whatever you do! Thanks for allowing me to read your articles!! I always looked forward to new articles from you and Andy – class acts you both are!! Long time reader, your articles were always much appreciated! Thanks R R, my work will continue, just in another venue and will not change because I write what I believe and only what I believe. I certainly can use the rest however! Thank you for the precious work and information you and Andy put out everyday! If I was seeking honesty I went to Miles Franklin. I still will come to see everything whats written here. And, I will watch out for your projects to come. Thanks again and have a good ride cowboy 🙂 ! thanks Frank, this horseman will take two weeks off and then ride hard! Bill, This is the first time I have ever written to anyone on any blog. I have read your articles with great interest and enjoyment for the past year, and I just want to tell you that I value and appreciate your thoughtful and insightful writings. The best of luck with your new travels. I will look for you at Jim Sinclair’s. your posting here is my honor Dave! Thanks for all your work. Are your articles going to stay on MF website or are they going to be deleted? welcome John, they will stay and be archived I am sure. Bill, Best of luck in your future endeavors. From one hockey player to another, all my best. thanks Bopil, always good to hear from a fellow puckhead! Wow, she even captured your headrest hat crease. I’ve been debating who was better at their chosen profession, you or your wife; she just made it a tie. she wins hands down gig, smoking hot and far more elegant/eloquent! It’s a great thing when two people are joined together who both have the satisfaction of being very accomplished in their chosen fields. A thing valued more than silver or gold. Just as she captured the soul of the horse, you capture the psyche of the markets. you are a very lucky man to have such a talented wife. You are the best!! Good Luck! I’ve enjoyed your plain talk writings and learned a few things over your time with Franklin. I wish you every success in the new partnership with Jim Sinclair. And, your wife is one hell of an artist, you must be proud of her skill. Talk later…. couldn’t be more proud, or amazed with each new piece she does! Bill, thank you for your amazing work at MF. It was my first experience with your writings. I will follow your work henceforth wherever you go. You were always my favorite to listen to and read…your work has been incredibly informative and honest. I wish you all the best in all of your new ventures. Your wife is extremely talented…what an amazing work of art. Ride hard, cowboy…we’ll be looking for you. And thank you so much. thanks so much Patricia, I’d rather ride at a pace comfortable for mi amigo Principe’, without him I can’t ride. Your posts are the first thing I read every day, Bill. You have a knack for taking a very complicated subject and making it so easy that even I can understand it! As for that painting … unbelievable!!!! Just beautiful! Best of luck to you. Where you go, I will follow. much appreciated Len, will forward your thoughts to my wife. Thank you, Bill. The pleasure has been ours. Your humor, wit, and breadth of knowledge about PMs and the business end of them has been illuminating to say the least. I have learned a lot from you and greatly appreciate it. Best of luck to you in your new endeavor! thanks for such kind words Ed! Congratulations Bill. Jim *is* our national treasure. Kitco’s precious metals spot price bored the heck out of me *years* ago. The only thing that gets me jazzed these days watching the minute-by-minute moves in the US 10 year treasury yield. Savvy investors saw more than 6% profit *in one day*! (May 11 2015) This is just the tonic for all of those greedy yield hungry investors out there. we just had another “episode” last night. Yes, Jim is certainly a one of a kind treasure! Wow Bill, I appreciate you sharing your observations of the crisis we are in and also the paintings your wife has done. I do my best to search for your articles and videos, and will continue to do so. You, Andy and the crew are awesome with your info. I would say all the best, but the best is still yet to come. Thanks for all you do. Ride on Lone Ranger, Ride on! Thank you so much for following my work Marco! Congratulations on the move! I will always listen to JS (and MF) even though Jim has been so wrong on his price predictions for gold in the recent past. His website needs serious help with content. I check it but don’t read it as it is all copy and paste from other resources. Hopefully, you can help him with that. Your insight and writing has been superb. And, as someone who has family in graphics & advertising, your wife’s paintings are simply stunning. thanks Bill, “price” has been “manufactured” in ALL markets for several years. The important thing is to know what will happen when the rig fails. you will hear from me for sure Geoff, thank you. Many, many thanks for everything you have brought to this forum. Miles Franklin is my favourite site and your contribution is valued beyond measure. I hope we will continue to have access to your thoughts in these interesting yet truly scary times. Good luck, and keep writing. thank you for reading Joyce, my work is meaningless without readers. My best of wishes Bill. I will certainly now have a void window in the morning as I always read your articles before my work day begins. Hopefully, I’ll read more from you on Jim Sinclair’s site. I’ll be watching out for your writings. Your wife is very gifted and so are you. thank you Ron, will only take a short break …and may pen a piece or two while I’m off. thank you Bill. I’ve enjoyed your writing for some time and have developed a deep respect for your opinions. God bless and I look forward to what comes next. Thank you sir! thanks and may God Bless you Kevin! All I can say is ‘thank you.’ You and Andy were the first things I tried to read each morning. That’s high praise. Hey mate, I wish you all the best. Enjoyed your knowledge….and holy cow that painting is good. I indeed thought it was a photo. thanks David, if you look under the right front leg you will see her signature. When I read you will be joining Jim Sinclair I was totally moved! What a great team you will make. I look forward to whatever you will be cooking up. Together your messages will multiply and increase in power. A very worth task! And…. keep writing! You are the best there is… in my books! thank you so much Janet! I am already learning much and getting “tuned up” by Jim, working side by side with him is a dream come true and as far as I am concerned “a God thing!”! Thanks, Bill. I’ve learned a lot from your writings and am looking forward to your new relationship with Jim. Kathryn’s work is amazing.